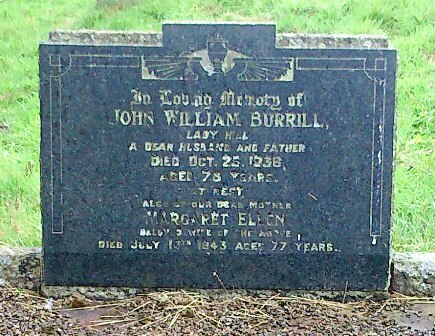 In Loving Memory of John William Burrill, Lady Hill, a dear husband and father. Died Oct 25th 1936. Aged 78 years. At Rest. Also of our dear Mother Margaret Ellen beloved wife of the above. Died July 10th 1943. Aged 77 years.